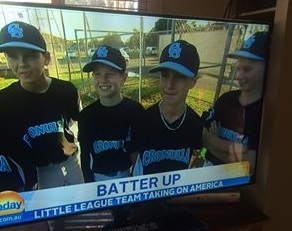 Notice is hereby given that The 2019 Annual General Meeting for the Cronulla Sutherland Junior Baseball Association will be held on Tuesday, 14 May, 2019 at the Cronulla Sharks Leagues Club - 7:30 pm. On that night all Executive and Officer Bearer positions will be declared vacant and nominations will hereby be called for the following elected Executive positions. We are also be voting on nominations for Life Membership. All Life member nominations must be submitted to the CSJBA Secretary one (1) calendar month prior to the AGM as per 2.1.1 a) b) c) in the CSJBA policy and procedures Handbook. We thank you all for your contribution to junior baseball in the season that has just past and looking forward to seeing you all at the AGM. If you wish to nominate for an executive position please complete the attached nomination form. This form must be signed and the declaration completed or it will not be considered to be valid. All completed forms need to be returned to the CSJBA Secretary via email to csjbasecretary@gmail.com.au by COB Tuesday 7 May 2019. Any enquiries you may have in relation to any of the above positions, please do not hesitate to call.